Blog - KB Concepts P.R. This post contributed by KB Concepts Summer Intern Jean Sa-Nganet, a senior PR major at Virginia Tech. I didn’t start college as a PR major – I thought I wanted to be a doctor. I took biology and advanced math classes, and while I performed OK on my assignments, I shockingly failed exams. Near the end of the semester, I realized I didn’t love anything about biology and wasn’t in fact passionate about science. Instead I enjoyed writing, researching and following the news. Developing and maintaining relationships and positively influencing the world around me is exactly what I’m passionate about. So I changed my major to PR with a concentration in Marketing and Business Leadership. I’d considered communications as a career before, but ignored the idea due to my fear of public speaking. I took a leap of faith and dove into my classes, which required individual and group presentations. My second semester was so much better; I took prerequisite classes and my professors were great in offering help and clarification. I began taking PR and crisis management classes in my second and third year. As I head back to school for my senior year having just completed a summer internship, I want to share my perspective as a PR major studying this field. Many don’t understand the significance of PR, but it truly is the backbone of every company’s communication needs. It fosters a positive relationship between individuals or organizations and their audiences. 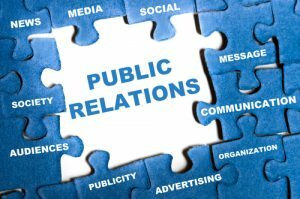 Celebrities, nonprofits, businesses and political figures are wise to have a PR professional on their team. Communications: The obvious skill every PR professional needs. You must be able to communicate ideas clearly, listen carefully and be aware of non-verbal cues. Research: The ability to gather information accurately and rapidly! I do a lot of research about event venues, company background, client inquiries, etc. Writing & Editing: Professor Neff-Henderson always told our Media Writing class, “PR professionals MUST know the ins and outs of journalism.” While journalists don’t necessarily need PR skills, a great PR professional exhibits both journalism and PR chops. This is something I really believe and focus on at school and in my work. Crisis Management: Most of my classes at Virginia Tech emphasize strategic and crisis communications. Bad PR case studies become the foundation of what not to do – and how we could effectively handle that situation next time. Rule number 1: PR pros must be transparent and honest with the public in communicating during crises! Social Media: Effectively managing and monitoring all the various social media platforms includes knowing how to appeal to and engage your audiences. Consistency, creativity and authenticity are vital. Cultural Awareness: This is a skill I’ve discovered many PR professionals ignore. Cultural awareness is important, especially when creating campaigns for different markets and audiences. H&M faced a backlash last year for its choice to put a black child in a “Cutest Monkey in the Jungle T-Shrt.” A year later, Zazzle used white models to sell black t-shirts, with predictable outrage as a result. Time Management: As a PR professional you’ll juggle multiple tasks at one time, usually on deadline. PR requires you to manage your time effectively and efficiently. Deciding the urgency and importance of tasks is also crucial. Most jobs in PR require entry-level hires to jump right into their duties and tasks. Although a supervisor may critique your work, they probably will not offer a lot of help. Internships or positions with a school club can help you gain experience in the field. Employers look for work experience and references carefully; it’s always best to start early. 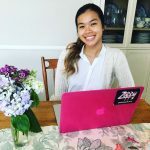 I’ve learned so much interning with the KB Concepts team this summer, including polishing my blogging and SEO skills and helping improve their website. Universities should offer a rigorous, challenging PR major that weeds out those with no genuine aptitude or interest in the field. Virginia Tech’s program challenges me every semester to improve my writing and editing. I’ve created case study analyses and crisis management presentations. I truly loved sitting in every course and learning about the ins and outs of PR. VA Tech also shares an abundance of career-building resources. My department frequently emails me opportunities at career fairs, internships and entry-level positions. While the network I’m building grows every year, and the array of specialization choices also seems endless (entertainment, sports, political, corporate, nonprofit, influencer, etc.) the field is competitive and huge, and many internships are unpaid. PR is considered one of the most stressful professions, because the consequences of making mistakes can be very public and painful. Entry-level salaries also don’t compare to those for science, math or business majors. But as you climb the ladder, there are lots of opportunities for well paying jobs. I strive to stand out amid the crowded field, take every opportunity I’m offered, and am building a portfolio of writing samples and accomplishments. Although my undergraduate study in PR is wrapping up, the learning will never stop. Wish me luck in my senior year, and as I set out to make my mark as a PR professional! Recently, KB Concepts participated in an RFP with a national nonprofit unhappy with their current agency of record, who they felt wasn’t giving them the personal attention and care they sought. Since this is exactly the type of client we specialize in, a mutual business colleague who works with the organization connected us and made a strong personal recommendation for our services. During a one-hour video chat with KB Concepts founder Karen Bate, the CEO highly encouraged us to submit a proposal and join the competition. Previously, KBC had opted out of RFP’s for almost 10 years because the process is so time consuming and often leads to a “Thanks, but no thanks.” This time, our mutual connection and the CEO told us we had a great shot because they were looking for a small grassroots firm like ours that had deep experience working with national nonprofits on important social causes. It was a solid two- to three-year contract on an issue about which Karen and our team were personally passionate. The CEO also mentioned they sought an agency with a better understanding of Austin, TX where they were based, something she felt their current agency lacked. We held a team meeting and decided to go for it. We knew it would take a lot of (unpaid) time and effort, but believed it was such a great fit for our company we would pull out all the stops and win the contract, especially since two members of our team have family in Austin and visit often. The deadline was tight and the RFP was comprehensive. In addition to case studies and staff bios, the RFP asked for multiple original ideas and content, and a full year’s timeline and budget. We spent two weeks researching, writing, and coming up with several innovative ideas to best tell this client’s story and reach their target audiences. Sixteen firms participated; KB Concepts was thrilled to make the cut for the final five. The organization invited us to Austin to present in person to a dozen members of their staff and board. We paid for our own lodging and flights for three team members, for professional graphic design of our powerpoint presentation and for a new organizational video that showcased our previous work. This took lots of staff time, including two full days out of the office for the trip. Their team took notes throughout our well-rehearsed and dynamic 1/2-hour presentation, including the use of new social media platforms popular among millions of young people that they had never heard of. Our guerrilla marketing ideas based on original research visibly blew them away. The entire staff hugged and thanked us at the end of our presentation. We left feeling confident and celebrated with a festive lunch before heading back to DC. Two days later, Karen received a call from the CEO informing her that they really appreciated our time and effort, and all our amazing ideas, but they’d decided to go with a local agency. Imagine our dismay with the amount of time and money our small firm invested in this process. It seemed apparent they had a strong bias for a local firm, yet they still put out the RFP and encouraged 16 national firms to submit full proposals. And encouraged us to bring a team of three to Austin to pitch them, instead of setting up a far less expensive video call instead. It’s time to revamp the RFP process. 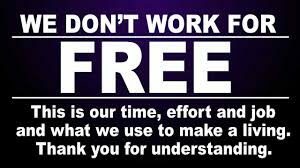 #TimesUp for organizations asking PR and marketing agencies to create original, creative content for free. Do lawyers give legal advice before you hire them? Do architects submit detailed plans in hopes of being hired? Do restaurants give away their best dishes hoping you’ll come back? Of course not. It’s only in PR/marketing/ad agencies where this unfair practice exists. This funny video “SayNoToSpec” perfectly illustrates the absurdity of requesting experienced professionals to give their work away for free — something we’ve all accepted for too long. Be clear and concise. The organization and RFP should clearly state the type of agency they are seeking. This allows firms to match their own goals and policies to those of the organization. 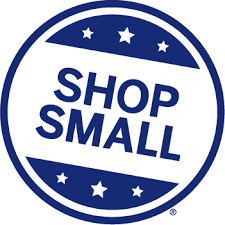 If there is a desire to hire a local firm (or large firm, or minority-owned firm, etc. ), it should be stated clearly in the beginning. This saves time and screens out unnecessary applicants. Concentrate on the track record. Don’t ask for hypothetical challenges or creative ideas. Assess firms based on their previous work, client lists, references and testimonials. Set up interviews to discover the company’s philosophy and personal compatibility. Use the same criteria you would when hiring any professional or sub-contractor. Be reasonable. In our recent case, the RFP requested two or three original creative solutions for each of two core programs, as well as a budget and timeline of our proposed activities for a full year. A company overview, case studies, client lists, testimonials and biographies of team members are reasonable requests; original content, budget breakdown and implementation details are not. Use it as a discovery process. Doing due diligence is commendable, but do it in the right way. The RFP should be a discovery process between two organizations, with both firms getting paid for their work. If the firm wants original content based on hours of research and experience, be prepared to pay for that company’s time and talent. 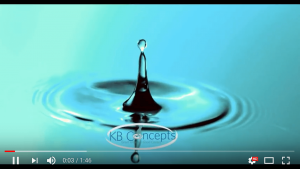 KB Concepts willingly took the risk this time, but until the process changes, we will never do so again. With those at the table taking notes, it’s entirely possible our original ideas and research will be shared and used by the local PR firm who won this national contract. And that isn’t right. 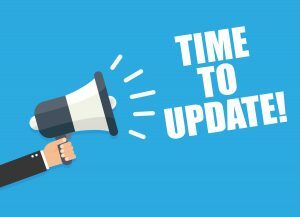 Time to nix the RFP process as it currently stands — let’s all demand a revamp to reflect these reasonable updates. 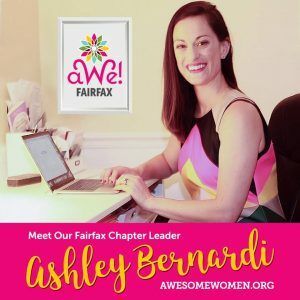 My Awesome Women Entrepreneurs (AWE) partner Evelyn Powers and I could not be more excited to announce the new Fairfax Chapter of AWE, and to welcome the AWEsome Ashley Bernardi, founder of Nardi Media, as chief inspiration officer! 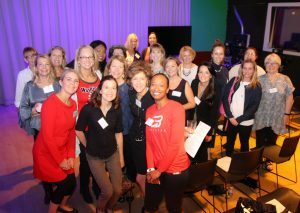 AWE Fairfax welcomes women business owners from Fairfax, Fairfax Station, Springfield, Burke and Clifton. Whether running a well established, successful firm, a side hustle that feeds a passion, or seeking support while taking the first leap into entrepreneurship, all are welcome! And this is just the beginning: We have awesome leaders ready to start new chapters in DC, Bethesda and Tysons/Vienna this fall too — look for announcements about those first October meetings coming soon! The first AWE Fairfax meeting is scheduled for Wednesday, September 20th, 6 – 8 pm at Ashley’s beautiful home. Please join us! Evelyn and I will speak briefly about what membership in this growing organization entails, but mostly we’ll enjoy some snacks and drinks, connect with one another and have some laughs. Because busy women entrepreneurs sometimes just need a little fun! To get on the evite list, email ashley@nardimedia.com. To learn more about Ashley and the new chapter, visit the AWE Fairfax page here. Why Lead an AWE Chapter? “I launched my business in 2015, from my basement that I shared with my kids as their playroom. For months, I remained isolated (and very lonely!) in my tiny windowless corner of my home. Little did I know or realize there was an entire world of women entrepreneurs like myself out there waiting to meet me…some of them literally just right down the street. My business (and my happiness) didn’t start thriving until I literally put myself out there in the world and started connecting with other women entrepreneurs. That was a game-changer and turning point for me. My mind – and my business – were hungry for community, collaboration, and friendships with like-minded women business owners. I wanted and needed more! 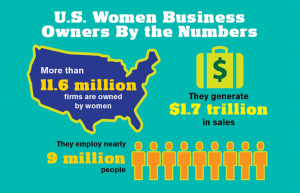 Enter Awesome Women Entrepreneurs. I have been blown away by the enthusiasm, support, collaboration, creativity, and passion behind this AWESOME organization. I am surrounded by sisters who are rocking their own businesses and thriving off collaboration and creativity from other awesome women business owners. Together, we make the world better, all while fulfilling our own passions and building meaningful relationships. Contact Ashley at ashley@nardimedia.com to be added to the list so she can personally invite you to the inaugural AWE Fairfax Chapter meeting. Click around the AWE website to learn more about AWE Radio and it’s new Podcast, six-month Accountability Groups and other ways we’ll help your business grow and thrive, and join us at our first meetings in Arlington, Fairfax, DC, Bethesda or Tysons/Vienna! Interested in being a local leader and supporting other women business owners in your community? Learn about starting an AWE Chapter here and email us at info@awesomewomen.org.